I'm a big fan of neutral eyeshadows. In fact, they are pretty much all I wear. I love a good golden shade, preferably with a touch of shimmer, or a subtle taupe, pretty pearl hue or the occasional rich chocolate brown to smoke things up a bit. Having very blue eyes means these neutral tones are perfect for me, so I find myself wearing them on a highly regular basis. Whilst I love my MAC shadows, my Urban Decay palette, and even my beloved MUA collection, I'm always on the hunt for new neutral palettes to add to my ever-growing hoard. 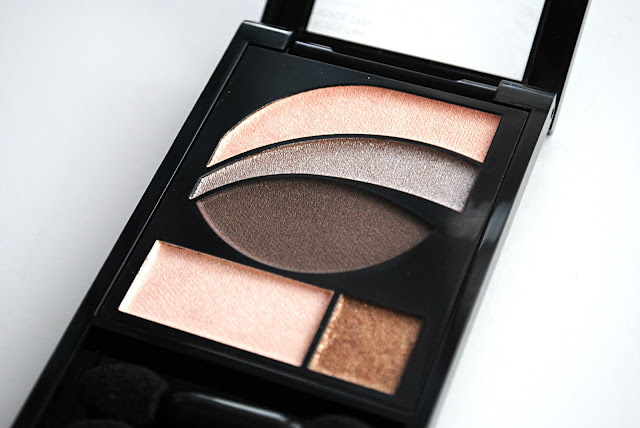 Whilst perusing the self selection makeup in Boots a few weeks ago, I stumbled upon a palette from Revlon I simply couldn't let pass me by, and it was promptly placed in my basket. 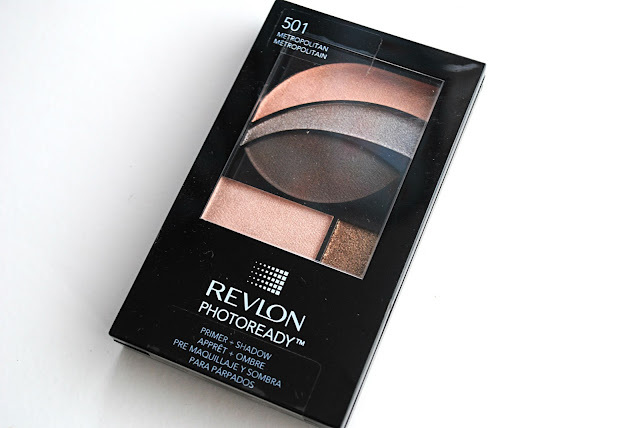 The palette in question was Revlon's PhotoReady Palette in Metropolitan. As soon as I saw the one, super sparkly golden shade in it, it had to be mine. I love a sparkly eye and especially at this time of year we all need a bit more sparkle in our lives. 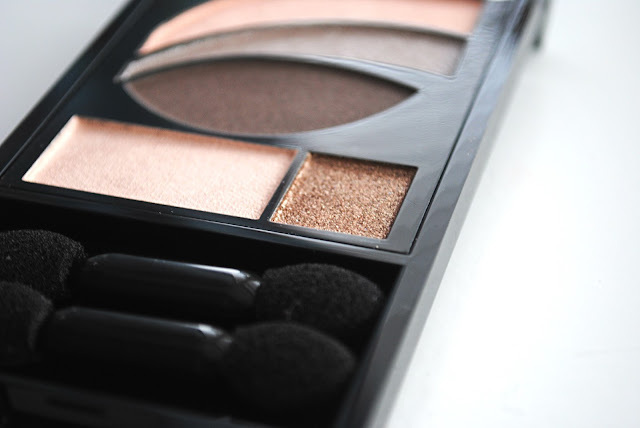 This palette is brilliant because it has everything you need to create a multitude of pretty eye looks. 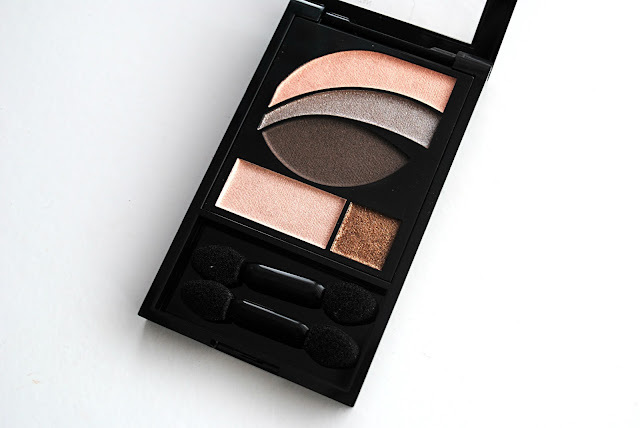 I actually didn't realise until using this a few times, but it comes with a primer, eyeshadows and a 'glittery topcoat' (the sparkly shade I spoke about earlier), and even tells you exactly how to use all of the shades to create the perfect glamorous eye look - so you've no excuse to go wrong really. 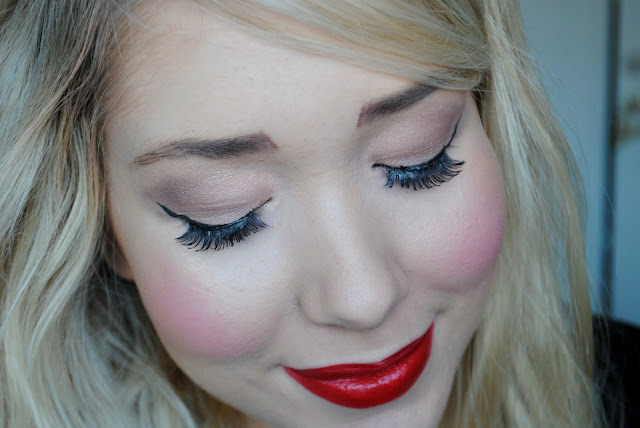 I haven't really had much experience with Revlon's shadows but I have to say I'm suitably impressed. They are all velvety soft, blend beautifully and the glitter topcoat shade is completely stunning. I'm wearing a couple of the shadows in the above picture, and think it creates a beautiful day look, but when all the shadows are used together it's great to really smoke things up and create more of a nighttime look. Overall I'm really impressed with this palette and I think every neutral lover needs it in their collection!